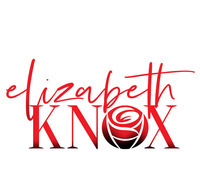 To ask Elizabeth Knox questions, please sign up. Has The Trade been released? On here it says February 4th but I cannot find it on Amazon. The Trade has not been released yet, I'm actually still plotting that book now as I finish writing "Relentless". I can tell you that it…moreHey CoeCoe! Is booger available to read yet? I haven't been able to find it on amazon. Hey Everybody. Holy crap, let me just apologize for being the suckiest blogger ever. I constantly have a reminder set in my phone every month to update my Goodreads blog, and yet it somehow never seems to happen....how does that happen, haha! Since I've taken a million and one years to update things, we've got a bit to catch up on, don't we? Elizabeth Knox said: " I've read a lot of paranormal books over the years, but nothing like this. I loved every part of this book. Certain points making me happy and others making me as frustrated as the characters were. I'm so emotionally invested in Otherworld and can't I've read a lot of paranormal books over the years, but nothing like this. I loved every part of this book. Certain points making me happy and others making me as frustrated as the characters were. I'm so emotionally invested in Otherworld and can't wait to see what happens next! ...more "
Wow. Like, seriously. I found myself laughing (especially that fire escape scene, let's be real - we've ALL had something similar), crying and shaking my kindle in serious frustration reading this one. I have to hand it to Heather and Daryn, this one Wow. Like, seriously. I found myself laughing (especially that fire escape scene, let's be real - we've ALL had something similar), crying and shaking my kindle in serious frustration reading this one. I have to hand it to Heather and Daryn, this one is killer! The thing I absolutely adore about Fireball and Fiascos is exactly how relatable it is. This book - Denae's life, it's exactly what we all go through and it's so refreshing to see that.